Humans are competitive creatures. We have an innate desire to be the best, constantly striving to be smarter, stronger, and faster than others. The age-old sin that drove Adam and Eve away from God and out of the garden continues to drive people away from God and one another. Pride often prevents us from living in unity as God intends. The first disciples also struggled with this sin. Each wanted to be the greatest. Because of selfish desires, the disciples turned against one another, arguing and driving one another away. No sooner had Jesus quelled their vain ambitions with a lesson on humility, than the disciples immediately turned their selfish desires outward, finding fault with one outside of their group. Because this one was not one of them, they quickly put him down in an attempt to elevate themselves. 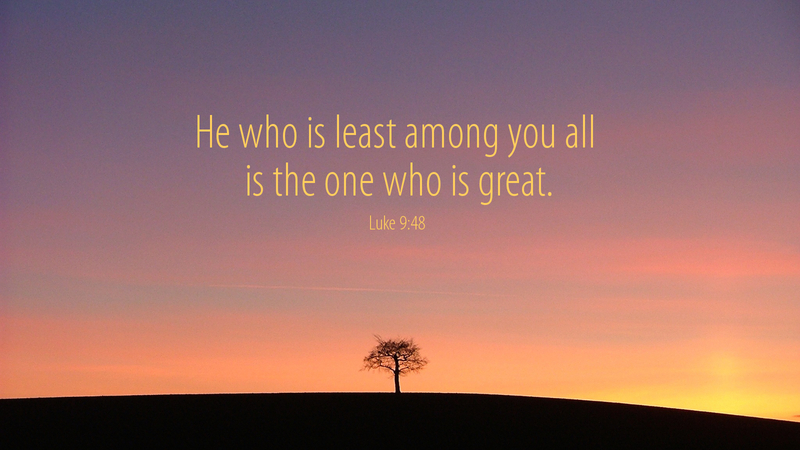 Many disciples today still argue about who is the greatest. Some claim to be better in theology, purer in preserving church teachings, or more diligent in performing good works in Jesus’ name. But by making these claims, we belittle only ourselves. The true path to greatness is that of our Lord — humble obedience to God and selfless love of others. Prayer: Gracious God, teach us to humble ourselves that your greatness may be revealed, through Jesus Christ our Lord. Amen. Today’s devotion was written by Pastor Paulette McHugh.